Consumers have voted GROHE Blue Home as the Kitchen Innovation of the Year 2017. This accolade will definitely hold a special place for the sanitary manufacturer, given that this award comprises both a nomination round by a panel of expert judges and a concluding round in which consumers have the final say. Having scored the best results in the “kitchen sinks and faucets” category, the innovative and highly functional GROHE Blue Home water system garnered the prestigious “Golden Award Best of the Best” accolade. “This is a fantastic result for GROHE Blue Home. All our products are designed to be user-friendly and add genuine value to people’s lives. Seeing consumers reward our efforts with this coveted accolade gives us great pride,” said Grohe AG CEO Michael Rauterkus. The nominated products were assessed on seven criteria in particular, namely operating comfort/functionality, product benefit, innovation, design, materials, ergonomics and ecology. GROHE Blue Home scored convincing results on all points. This modern drinking water system supplies filtered and chilled water with three selectable carbonation levels straight from a dedicated kitchen sink faucet, thereby obviating the need for industrialised water bottling as well as for driving to beverage stores and carrying heavy water crates. Compared to bottled water, the contribution to consumers’ carbon footprint can be shrunk by approximately 61 percent. 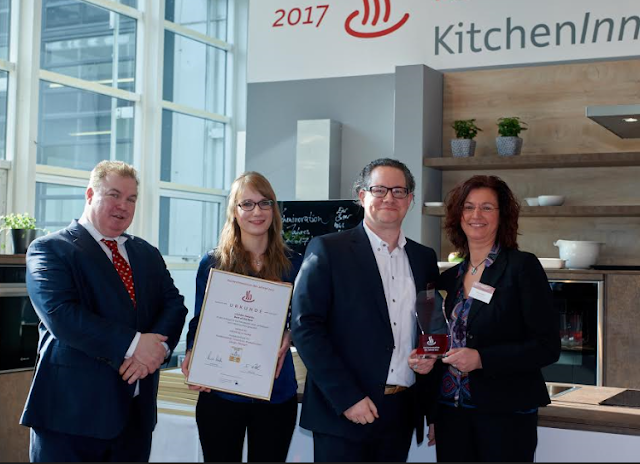 The award ceremony was staged on the occasion of Ambiente, the leading consumer goods show, in Frankfurt. 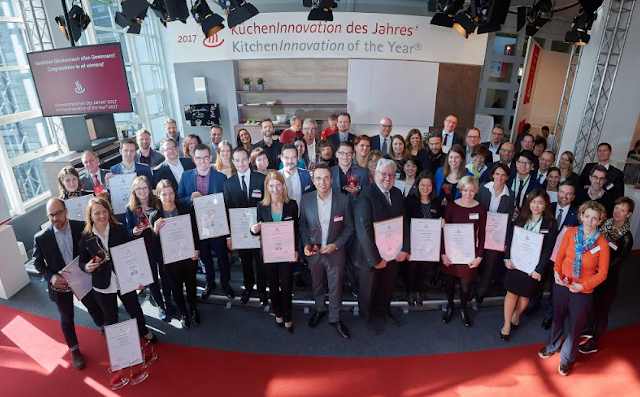 Some 200 invited guests attended the event on February 11, marking the eleventh anniversary of the LifeCare initiative’s Kitchen Innovation of the Year award. The outstanding quality of the GROHE Blue Home water system is now also documented by this prestigious seal, which provides independent and trusted guidance for consumers. GROHE India Pvt. Ltd. (GIPL) is a wholly owned subsidiary of GROHE AG. With a decade of its presence in the Indian market, it has acquired a dominant position in the market as one of the largest selling international brands. GROHE recently launched its state-of- the-art ‘GROHELive! Centre’ in Bengaluru. The centre offers a great opportunity for people to come and experience the world of GROHE. Besidesfeaturing the entire range of GROHE products, the Live! Centre also showcases the GROHE elements.